In today’s world, a majority of us are just plain stressed out. We’re stressed from our jobs, money problems, kids, and everything in between. From youngsters who are still in school all the way to the elderly, we each deal with something stressful at least once a day. This is why it’s so important that you take the time to relax. Whether you relax by settling into the couch and taking a nap, watching TV, exercising, or deep breathing, it’s vital that we all have that one thing that allows us to regroup and rejuvenate our body. Yoga therapy is one way that you can allow your body to finally breathe. At Kula Yoga Therapy, we offer an array of classes that will focus on inspiring and revitalizing you. In essence, yoga therapy is a type of therapy. This type of therapy uses yoga to help with breathing exercises, meditation, guided imagery, and yoga postures to allow you to improve your mental and physical health. Yoga therapy is holistic and helps you to replenish your spirit, body, and mind so you can focus on healing your body from the inside out. With so much stress we put on ourselves, it begins to take a toll on the body. There has been a lot of scientific information that points out that stress causes many health problems such as cardiovascular disease, high blood pressure, abnormal heart rhythms, heart attacks, strokes, depression, anxiety, and even personality disorders. 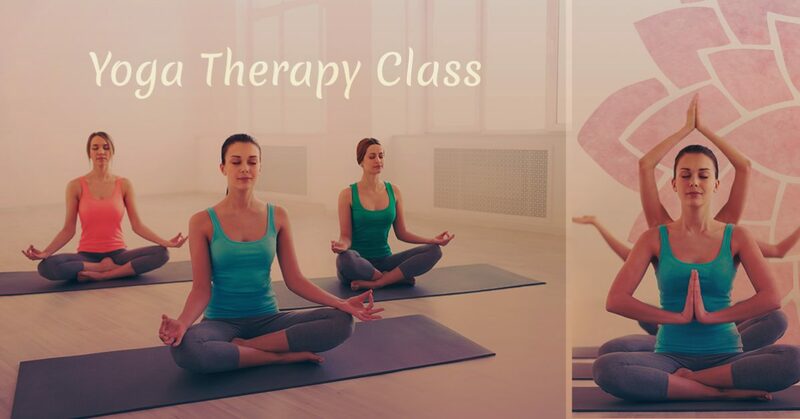 Yoga therapy will allow you to focus on how to ward off anxiety attacks and help with stressful situations by helping you focus on deep breathing and techniques to help you relax. At Kula Therapy, we offer weekly yoga therapy classes so you can realign your body both mentally and physically. We offer align and flow classes to focus on breathing techniques and alignment and posture. Also, we have meditation which allows you to explore breathing exercises. Whatever you choose to do, you’ll find yourself relaxed and ready to face the day when you come to a yoga therapy class. Regardless of how stressed and tired, you may be, yoga therapy will set you free. What Does Yoga Therapy Help With? Not only does yoga therapy help with stress, it also helps with an abundance of other issues you may be struggling with. Some of the conditions that yoga therapy may help with range from weight loss to heart disease and feet ailments to digestive issues. When you experience stress, you’re taking a toll on your entire body from your brain to your feet. By incorporating yoga therapy into your daily routine, you’ll find you feel stronger, more at ease, and your habits will turn from unhealthy to healthy. Yoga therapy isn’t just for people who may be struggling with chronic pain or a desire to strengthen the posture. It can be for anyone who wants a form of therapy that will allow you to move your body while also focusing on it. Yoga therapy will help you strengthen your body while also looking inward to figure out what makes you tick. You’ll move your body and push the limits as you focus on deep breathing that can help for years to come. Based in Hartford, CT, Kula Yoga Therapy is a studio where anyone can go. Open to the public on a drop-in basis, you don’t have to worry about pre-registration when you come to our facility. We offer two types of classes and we encourage those who want to share their love of yoga therapy with others to have celebrations at our facility. We offer workshops and training sessions to those who want to become a yoga therapist as well. Kula Yoga Therapy is based on the desire to live holistically while ensuring each class is inspirational, revitalizing, and especially fun. In this chaotic world, it might be hard to shut your mind off and focus in a yoga therapy class, but the more you come visit us at Kula Yoga Therapy the more you’ll find it easier to shut your mind off and focus on improving yourself. Kula Yoga Therapy will help you focus on feeling good with a yoga therapist who is trained to treat physical problems. Take back your body when you come to Kula Yoga Therapy. We look forward to seeing you in our classes!